Our Physical Therapist use video capture/playback to examine and study movement to better understand them and the movements that can cause injury. We can also compare and contrast healthy movement versus injured movement to guide the injured patient back to health. Slowing down an athlete’s movement can pinpoint areas that need rehabilitation or improper movement patterns that may evolve into other problems. Our physical therapists will fully review your athletic and/ or medical history along with a detailed assessment of joint range of motion, muscle strength and balance reaction. The balance reaction assessment will be to determine how each link in the kinetic chain (foot, ankle, knee, hip, torso ….) interacts. A video recording will then be made of you walking and/or running. The video is then uploaded to motion analysis software which allows us to appreciate subtle movements that may be hindering your performance or creating an injury. Who will benefit from a video movement analysis? Individuals with a family history of foot problems such as high arches, flat feet or are knock kneed. Individuals with existing injuries (i.e. 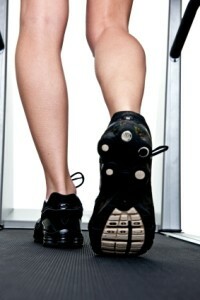 back, hip, knee, ankle or foot pain) as a result of gait disturbance or poor running mechanics. Professional or recreational athletes in high impact sports such as tennis, football, rugby, hockey or any sport where running s an integral part of the sport. Runners wanting to improve the effectiveness of their training and achieve a faster race time.